Air in the space between the lungs and chest leads to collapsed lung. The exact cause of collapsed lung is not known yet. Collapsed lung may occur due a blunt or penetrating injury to the chest. Certain underlying diseases may also lead to collapsed lung. 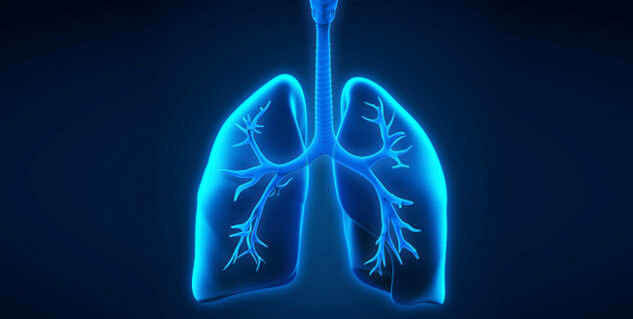 The spontaneous collapse of a lung, medically known as spontaneous pnemothorax, happens when air or gas is present in the space between the lungs and chest. A patient with spontaneous lung may experience severe shortness of breath and sudden chest pain on the side of the collapsed lung and cough. However, the exact cause of collapsed lung is not known yet, we are listing below some of the possible reasons of collapsed lung. A severe blunt or penetrating injury to chest can lead to a collapsed lung. Some injuries may occur due to physical assaults or car accidents that may eventually result in collapsed lung. Apart from this, medical procedures that involve insertion of a needle into the chest may also lead to collapsed lung. If your lung tissue is damaged, you may get collapsed lungs. That’s because a damaged lung tissue has more chances of getting collapsed. Certain underlying diseases such as chronic obstructive pulmonary disease, cystic fibrosis and pneumonia may cause damage to the lungs, thereby leading to collapsed lung. The collapsed lung may also occur due to bursting of a small air blister, known as pulmonary bleb, on the top of the lung. The reason why the bleb bursts is still not known. A severe type of pneumothorax may occur in people who need mechanical support in breathing. People who need respirator are also risk of getting collapsed lung due an imbalance of air pressure within the chest created by the respirator.